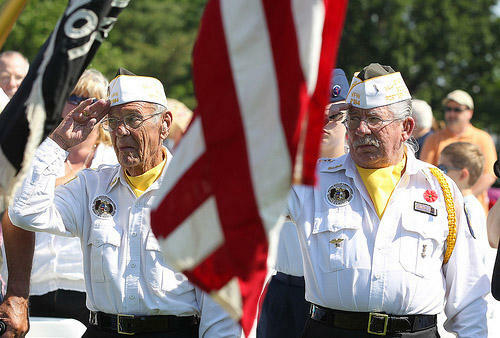 War veterans salute as an American flag passes by during Memorial Day services at Jefferson Barracks National Cemetery in St. Louis on May 30, 2011. That could increase funding for state-run homes by about $27 million. Veterans' groups say more homes are needed to accommodate aging Vietnam War veterans. But a fiscal estimate included with the legislation says cutting lottery prize money could hurt ticket sales. The measure must be approved once more before it goes to the Senate. 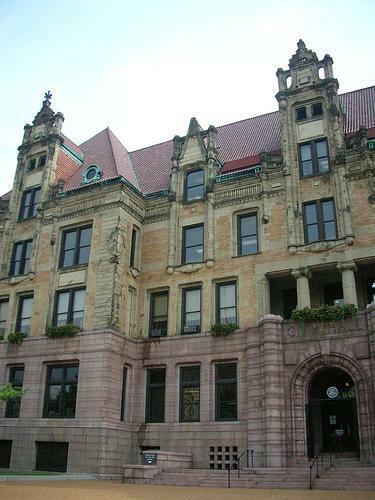 The City of St. Louis has received $600,000 to provide homeless veterans with services. The money will be split between the St. Patrick Center, which offers housing services, and Employment Connection which provides job training skills. St. Louis Mayor Francis Slay says that as approximately 12 percent of the city’s homeless are veterans. Sen. Claire McCaskill, (D-Mo.) says she’s cautiously optimistic that management problems at Arlington National Cemetery have been solved. The democratic senator visited the cemetery on Friday to assess changes made there following the revelation that thousands of graves were mislabeled or unmarked. McCaskill co-sponsored a law that requires congressional oversight of the burial grounds, and requires cemetery officials to submit a grave site analysis. She says that report will be delivered December 22nd and so far, is 86 percent complete.